Schools in 21 states are sending home letters to inform parents that based on their child’s BMI, he or she is considered at risk for obesity. 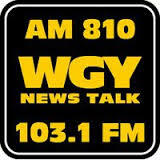 Dr. Kantor talked about the pros and cons of these letters and the obesity epidemic with WGY Radio. There are critics out there on the use of the BMI measurement, because it is not always accurate. For example, if a person happens to be very muscular, it does throw it off, but for 80-90% of cases the BMI is pretty accurate. We need to look at the positive parts of this such as the fact that they are finally doing something about the obesity epidemic; that is a good thing. Nobody sees these letters except for the parents; they aren’t shared at school, and they don’t have to be shared with the child either. However in most cases, over 65% of the time, when the child is obese one of the parents is obese. This seems to be why it really is riling some of the parents. During this interview they discuss what else needs to be done to help fight the obesity epidemic, particularly for our children.